The Walery Rzewuski Museum of History of Photography in Krakow was founded in 1986 and owns over 70.000 objects – photographs and photographic equipment – constituting a rich collection that covers the history of photography from its beginnings to the present days. The collection includes press, documentary, portrait, amateur and artistic photography, mostly from Poland. The permanent exhibition also presents early techniques and the development of photographic technology. The Museum’s collection has been regularly catalogued in the digital database since 1997, and is subject to digitization activities since 2000. A milestone in this process was MHF’s participation in the fundingprogram run by the Polish Ministry of Culture and National Heritage. The Museum has its own website, which allows for a systematical public valorization of its holdings through an on-line catalogue – one of the first of its kind in Poland. img. 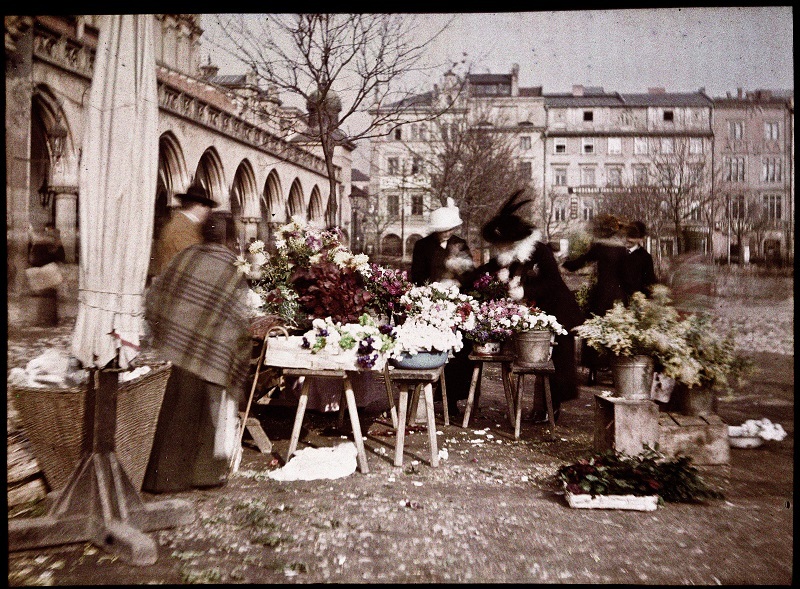 Flower sellers at Krakow’s Main Square. Tadeusz Rząca, ca. 1915 © MHF.